Who’s ready to join me in class so we can get your ebook completed and ready to sell? 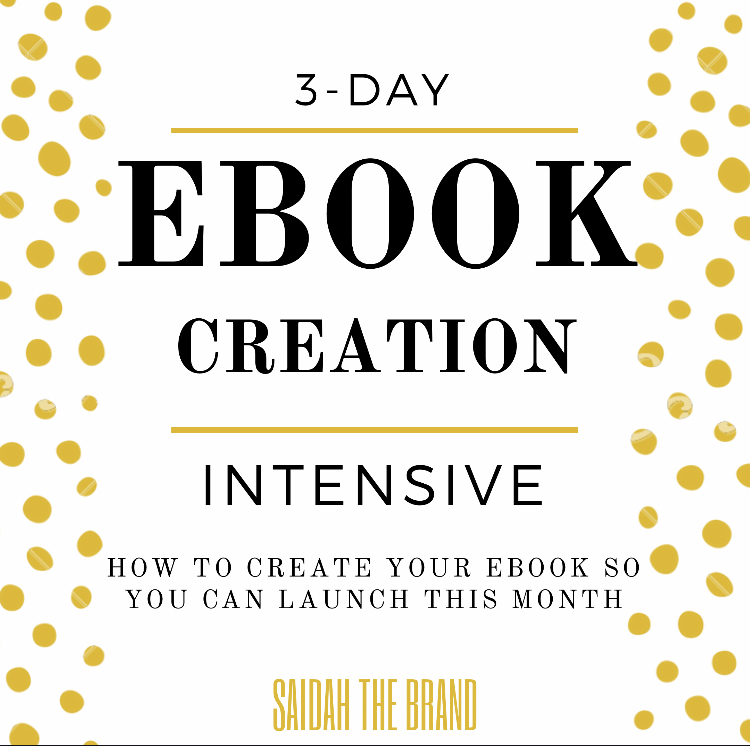 How to Create Your Ebook in 3-Days so you can launch this month is an epic training! This 3-video course will show you start to finish how to create your ebook in 3 days! You’ll get a system to create an ebook as a revenue source that can be used as a revenue stream throughout this year and beyond. — How to create an ebook template for your ebooks. — Why templates work and save you time. — Where to find content for your ebook. — How to recycle content. — Must have ebook components. — Which platforms are best for creating your ebook. — Where to publish your ebook. I can’t wait for you to bring your Ebook from idea to completion. So go ahead and click the "buy now button" to join the class.